CLICKnRIDE® Indicators are designed to fit almost any bike and meet all legal requirements. With premium quality parts the click-release system gets you going in seconds and provides peace of mind… on and off the road. 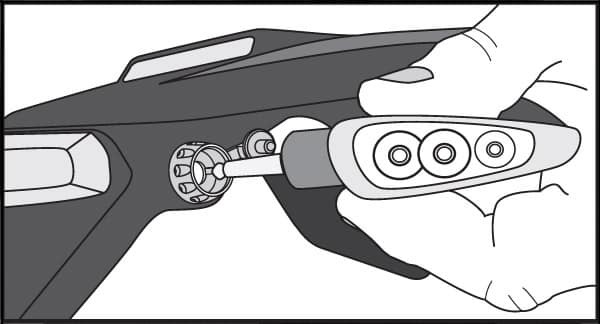 NOTE: Some bikes have limited options for locating the indicator sockets. If your bike doesn’t have enough plastic on the rear fender you can still use CLICKnRIDE® by adding a Bracket or Tail Tidy. Check out our Guide to Brackets & Tail Tidies here. 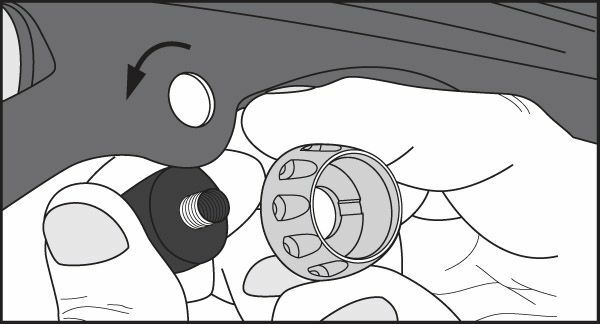 To ensure the socket is correctly installed on your bike, add/remove the included plastic spacers so the notch on the nut ends up flush with the top of the thread of the socket. If required, reduce the thickness of your bike’s plastics with hi-grit sandpaper or dremmel tool (work from the inside of the plastic). 1. Align moisture guard, apply thread lock and screw nut on finger-tight. NOTE: OVER TIGHTENING THE NUT MAY DAMAGE THE SOCKET. If you experience any problems as a result of over-tightening the nut please contact CLICK’n’RIDE. Join wires, Positive (red) to Active wire, then connect the Earth wire (black). Check with your motorbike manufacturer for wire diagram or a qualified motorcycle repairer. 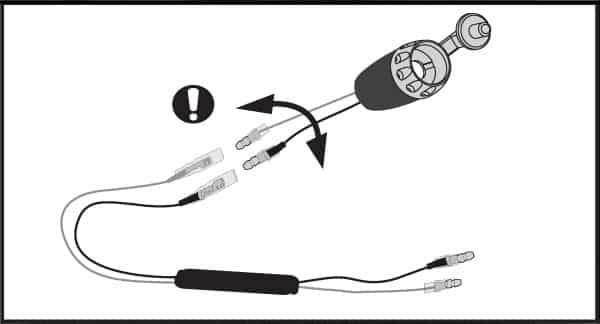 TIP: For a more robust connection snip off bullets and use quality waterproof connectors or solder the wires together and apply an insulated shrink wrap sleeve. LED’s are polarity dependant. If your indicators don’t  work after installing them as described try simply  crossing the resistor’s red and black wires. If you are converting from incandescent globe indicators to CLICKnRIDE® LED indicators, wire-in CLICKnRIDE® resistors as shown (sold separately). Install 1 resistor for each LED indicator until there is enough ‘load’ in the system to trigger the Flasher Unit. It is normal for the resistors to become hot to touch. Avoid placing them in contact with parts that may be effected by excess heat. Alternatively, replace your bike‘s Flasher Unit with an LED unit. MORE INFO: Read our detailed guide to fitting resistors here. Click your new indicators into position and insert the rubber dust plug into the hole provided on the back of the indicator. This stops the plug flapping in the wind and further secures the indicator to the socket. Test your indicators. 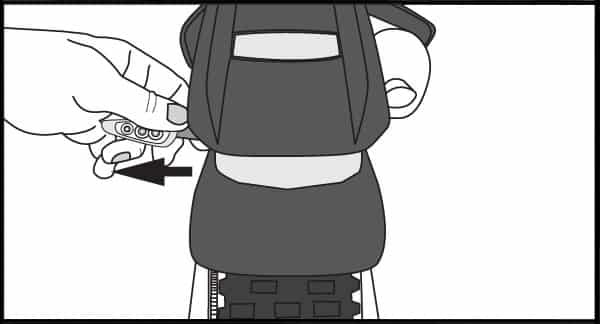 For off-road use, remove the dust plugs from the back of the light, unclick your indicators and stow. 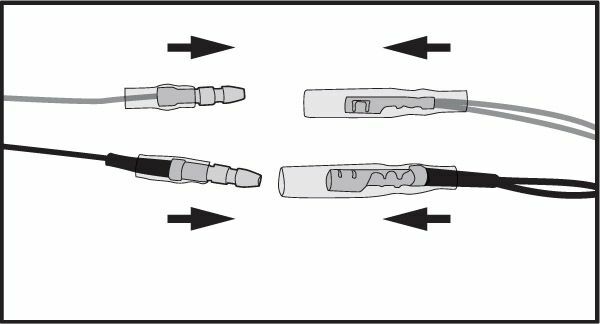 Ensure you reinsert the attached rubber dust plug into the socket whenever the indicators have been removed to avoid moisture, mud or dust entering the socket.